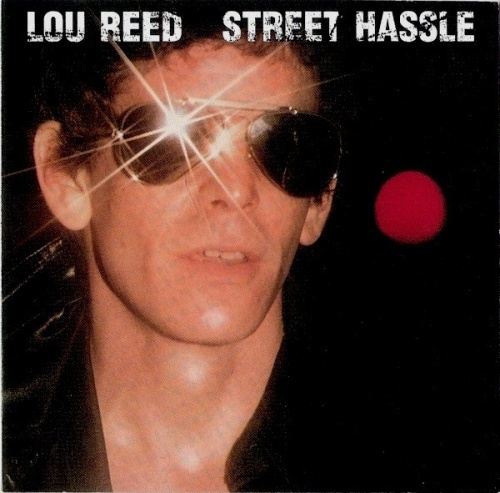 Lou Reed’s Street Hassle or David Bowie’s Station to Station, which album do prefer, love more, pick if you were going to be stranded on a desert island? A question to that effect appeared on one of the odd corners I visit on the internet looking for intelligent conversation on art and matters of concern that cannot be calculated by conventional metrics of worth. So, an interesting question, even if the choice between two superb albums makes one asks why these two, which are wildly dissimilar in their respective greatness. Compare and contrast? Perhaps Reed’s album New York, his inspired two-sided screed against the insoluble cruelty that inhabits the deeper and darker corners of a great city, compared and contrasted against Bowie’s Tin Machine project, an angular, Cubist kind of hard rock rage highlighting Bowie’s theatrical pronouncements against human creation of a misery index set against and appealing assault of shrapnel percussion and blood splatter guitar work? A more focused conversation, perhaps, but I remained with the question that was posted.I would choose Street Hassle if one desires street credibility and genuine amounts of poetic brilliance, both of which Reed despite his well-known habit of overestimating his overall musical genius. His musical punch was from his words wedded with the simple, scraping movement of his chords wedded with his especially acute and minimalistic detailing of lives in the streets, the doorways, the alleys of New York and its vast underbelly of fallen souls. Reed, at his best, had a feel for the characters in these unapologetic environs--sympathetic but not glorifying, poetic but not conventionally "beautiful" by more timid sensibilities--and on Street Hassle his greatest virtues, as such, are in full force. Reed was a writer before anything else, living in the shadows of a city that punished its geniuses with poverty, drug addiction and the contempt of the public, the authorities, and even the cast of good souls charged with taking care of them. This was fine with Reed and many of his cohorts; he was a man in the city, a maker of an invisible scene where the atonal heart of the experimental arts were in a social sphere so on the outs with whatever the hip community imagined itself as being that even the most vocally revolutionary of the millionaire rock and rollers and painters and filmmakers of the period wished they would simply evaporate and vanish in a dissipating gust of steam. Reed, Herbert Huncke, Burroughs, Henry Miller, in the belly of the beast, writing poetry, drinking, talking, painting at the outskirts of high towers of a city that provided with cold water flats and long, cold shadows to hide within. This is what Reed saw, wrote about, live amongst. Bowie wanted some of that, to be all of that, but he was a tourist and didn’t stop being a mere borrower until Station to Station. Bowie coveted that kind of brutalism, evident in his band Tin Machine, which tried to be street, noisy and savant gardish in the shrieking sense of the Velvet Underground but which were undermined by Bowie's autodidactic habits and Anthony Newlyesque vocalisms, reminding you that he was, above all else, an actor. Bowie’s overt theatricality often made me roll my eyes, but he was a man who knew how to turn what can be used against him critically into an asset that elevates his art when his inspiration moves him to do so. He was a far superior synthesizer of many styles and moods and texture and had a genius for texture and color in the studio. Philip Glass, Brian Eno, funk, disco beats and plenty of chomping, comping guitar made this a revolutionary fusion masterpiece; Bowie, as well, reined in his persona to a dimension that suited him, that of a post WW2 soul,,, weary unto death, a witness to yet another large and irreparable crack in the foundations of a great and honored culture and attending traditions. Bowie was always musically more ambitious than Reed. That's pretty self-evident and not really worth the bother to point out unless your preference is competence over the kind of brutalism Reed specialized in. Reed's lyrics, in my view, have a substantial edge over Bowie, who was plagued by a prevailing sense of who wanted to sound like. The atmospherics and production garnishes of Station to Station did free Bowie from any obligation to sound like he was trying to say anything that could be interpreted as philosophical. His words became more diffuse, full of associative leaps, ellipsis, images that were and remain private mysteries so far as what they reference but which provide a rich and vaguely mystical and definitely European tone to the inspired constructions he released from this point onward. As a lyricist, as a writer, as a storyteller, Reed was the authentic genius here; he was a blend of a mind that made equal use of his library card and his street smarts and provided a skill to be expansive while maintaining a hard, stripped-down veneer. 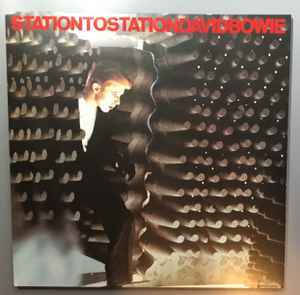 Bowie the tourist became Bowie the innovator with Station to Station and, in his way, achieved parity with Reed as an expressive artist.